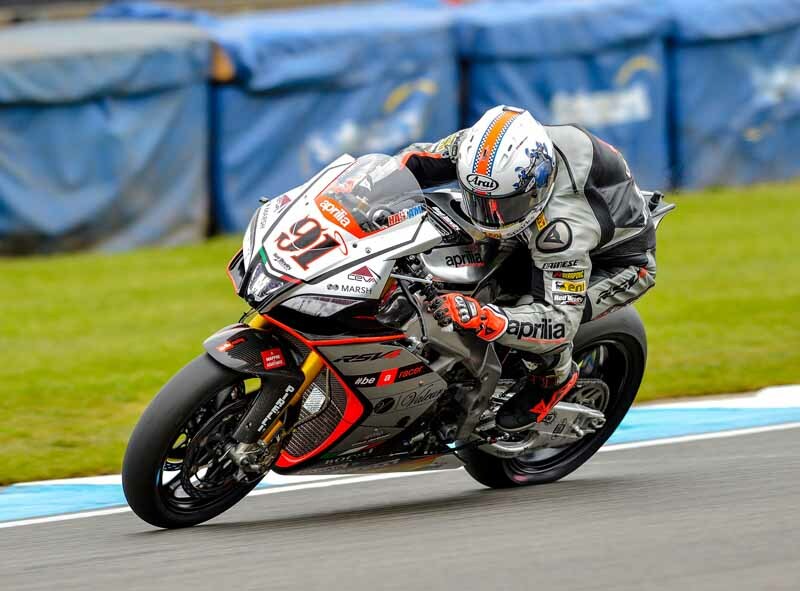 Donington, 23 May 2015 – The World Superbike Saturday at Donington started off well for Leon Haslam who rode his RSV4 RF to the top of the list in the last practice session before Superpole. The English Aprilia Racing – Red Devils riders confirmed his improvement despite the fact that the extremely tight gaps preclude any predictions. In Superpole the English rider managed the available 15 minutes well, taking two flying laps on a race tyre and then throwing himself into an attempt on the softer tyre. The final, exciting minutes of Superople had many of the riders improving on their times, with the final standings under the chequered flag placing Haslam fourth, which translates into the first spot on the second row of the grid. Leon is pleased with the work done today, whereas the races promise to be close, especially in the final laps. Hard luck for Jordi Torres who, after putting the eighth best time on the sheets this morning with a good feeling astride his RSV4 RF, took on Superpole 1 in the best possible way. Putting in the best time with a race tyre, Jordi was slowed down on his flying lap by a few uncertainties in the braking sections, having to settle for the thirteenth best time in the end. Starting from the fifth row won’t be easy, although the progress he demonstrated in the final session makes the Spanish rookie cautiously optimistic.